The “Poe Toaster” is not a kitchen appliance. More on that in a bit. The circumstances of Edgar Allan Poe’s death on October 7, 1849 are as dark and mysterious as his writings. During the summer of 1849, Poe (40 years old) was on a lecture tour. While in Richmond, he reunited with an old flame, Elmira Royster Shelton. He was a widower, and Elmira was a widow. The relationship was rekindled and they quickly proposed to be married. Poe made plans to return to his home in New York, gather up his mother-in-law, Maria Clemm, who lived in his household, and arrange to bring her to Richmond. By September 26, 1849, he was ready to depart. This description is somewhat in contrast to accounts of friends in Richmond who saw Poe just hours before his departure and said that he was cheerful and in good health. After taking his leave of Elmira, Poe met friends at Sadler’s Restaurant where he lingered into the wee hours. He boarded a steamer for Richmond early in the morning of September 27. In Baltimore, on the afternoon of October 3, 1849, a young printer named Joseph W. Walker found Edgar Allan Poe at Ryan’s Tavern. Later tales claim that Poe was found in the gutter or on the street outside the tavern, but exactly where he was found in or about the tavern is not clear. The tavern also happened to be the polling place for Baltimore’s 4th Ward. Baltimore was having a local election that very day and the tavern was particularly busy. Dr. Joseph Evans Snodgrass (1813-1880), a friend of Poe’s, was a physician, writer and temperance activist. His temperance leanings, and his suspicion that Poe was intoxicated, led him to later write scathingly of Poe, claiming that he drank himself to death. Snodgrass arrived on the scene promptly and then summoned another friend, Henry Herring (1791-1868), Poe’s uncle by marriage. Snodgrass later wrote of Poe’s appearance and condition. Perhaps the most bizarre element of his account is the fact that Poe was wearing someone else’s clothes. Poe was normally quite meticulous about his appearance. How on earth he ended up wearing cheap, threadbare clothing is utterly unknown. The two men took Poe to Washington Medical College where he was placed in the care of Dr. John Joseph Moran (c. 1820-1888). 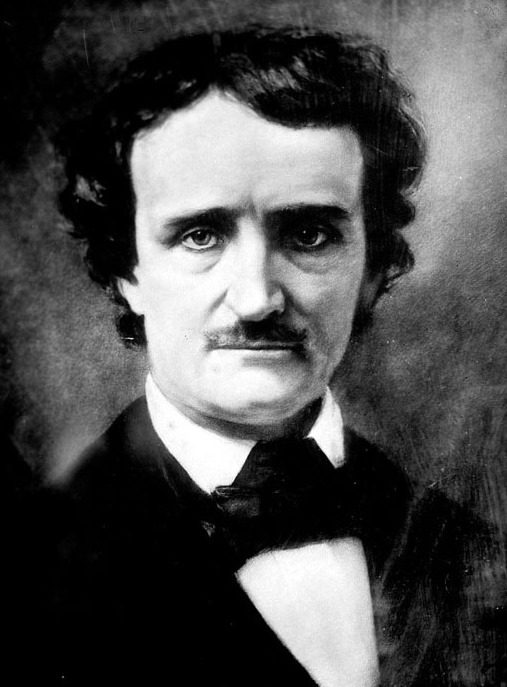 Moran did not know Poe but happened to be an admirer of his writing. Poe was committed to a cell in the hospital usually reserved for the intoxicated. There are many theories as to the reason for Poe’s condition. They include intoxication, dementia, brain tumor, rabies, cholera, syphilis, influenza, murder and…perhaps most extraordinary…”cooping.” The latter was an election fraud practice whereby thugs would kidnap, beat and drug individuals and keep them in a “coop” only to release them to vote multiple times. This theory, while implausible, would explain why Poe was wearing someone else’s clothes…to disguise him at the polls. Regardless, no single theory has been proven. What landed Poe in the hospital will likely forever remain unknown. The only source we have on Poe’s last days is Moran. The doctor later spoke publicly on a number of occasions about Poe’s death and seems to have embellished the story each time he told it. One anecdote that has tied some historians in knots is Moran’s claim that Poe repeatedly cried out the name “Reynolds.” Efforts have been made to determine who this Reynolds was and why he was important. But as it turns out, Moran may have simply been mistaken about what Poe was saying. On October 7, at about 3 a.m., Poe quieted and seemed to rest. Then, Moran claimed, at about 5 a.m. he uttered, “God rest my poor soul,” and faded away. October 8, 1849, the day of Poe’s funeral and burial at the Westminster Church Burying Ground in Baltimore, was described by the church sexton as “a dark and gloomy day, not raining but just kind of raw and threatening.” Poe was buried in the plot of his grandfather, David Poe. Less than 10 people attended. The perfunctory service lasted only minutes. 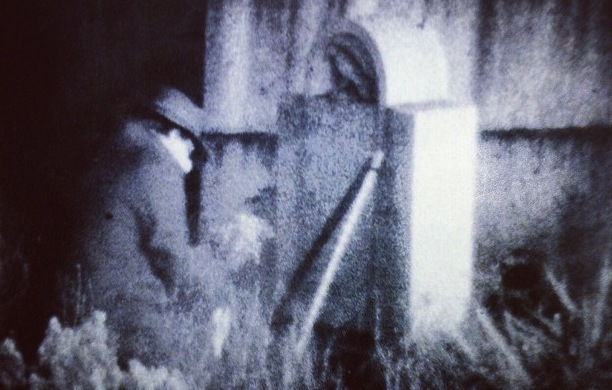 His grave was unmarked. Neilson Poe arranged for a marble marker, but it was destroyed when a train derailed and completely demolished the monument yard where it was being carved. As if there were not enough strange twists to the story. Hardly 20 years later, many in Baltimore began to lament the state of Poe’s unmarked grave. Sarah Sigourney Rice, a Baltimore schoolteacher, took up the cause and led the fundraising to create a fitting monument for Poe and to have his remains moved to a prominent spot at the front of the burying ground. This was accomplished in 1875 and the dedication was attended by a throng including Walt Whitman. A poem written for the occasion by Tennyson was read. Poe was, in a way, reunited with his wife ten years later in 1885. Her remains had been disinterred when the Fordham Church Cemetery in New York was destroyed. Some more creepiness…an early Poe biographer named William Gill arrived on the scene just in time to rescue Virginia Clemm Poe’s remains and kept them in a box in his house. For ten years. He eventually made the arrangements to have them interred with Edgar Allan Poe’s in 1885. Now, what of the “Poe Toaster?” On January 19, 1949, (Poe’s birthday and the centennial year of his death) a unknown person left a bottle of cognac and three roses at the site of Poe’s grave in the middle of the night. The significance of the cognac is a mystery…Poe never mentioned the beverage in his writing. The tradition continued for 60 years. By the late 20th century, crowds gathered annually, holding vigil in the dark, waiting to catch a glimpse of the Poe Toaster in his fedora, a scarf covering his face, and carrying his silver tipped walking stick. Officials at the Westminster Church kept the burying ground locked so that the crowds could not interfere with the mysterious individual, and yet the Poe Toaster still somehow was allowed private access to continue his tradition. In 1999, a note was left by the “Poe Toaster” that the torch had been passed. Presumably, the original Toaster had died and the tradition had been taken up by one or more sons. Whoever took up the mantel apparently did not have the same passion for it. The final appearance of the Poe Toaster took place on January 19, 2009 on the bicentennial of Poe’s birth. “Poe’s Burial and Grave,” New York Times, February 26, 1893. “Poe’s Memorial Grave,” Edgar Allan Poe Society. Michael Kammen, Digging Up the Dead, (2010), p. 138.